One Stop Shop – the future of construction? As a design and build company, we use our extensive knowledge and experience from day one to design your building right first time. With a team including engineers, Architect and project managers, you have the best minds working together on your project, not in different offices at different times. The continuity of the team means that we can make you huge savings without compromising design and quality. We do not have to wait for other architects, engineers or surveyors to issue instructions. We work directly with you to deliver on time and on budget. 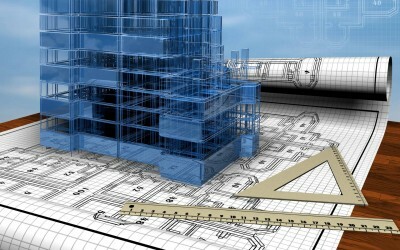 When you come to us, you don’t need to go to any other architects or consultants or pay any other fees. We give you a genuinely fixed price because we know how much your building will cost. Our expertise has enabled us to design and build steel buildings for a diverse range of users, from school and community buildings, industrial and commercial use, through to more unusual commissions such as a photographic studio and a church! We work primarily in steel framed buildings, but will use whichever construction method is appropriate for your project. Many of our built projects are steel framed, take a look at our project page and you might be surprised how good a Directline Structures steel frame building can look! Why not give us a call to talk about your project and what we could do for you.